After a high court judge ruled against a petition filed by Media owners association, top three broadcasters in Kenya went off-air leaving Kenyan’s with a message indicating the same. The petition which sort to have the period for digital migration in Nairobi extended for another five years was not granted by Judge David Majanja saying all the concerned parties were involved in the entire process and he had no reason to stall it. Among other arguments, the media owners had sort for a directive from the Judge on violations of intellectual properties as a result of Gotv rebroadcasting their content. In a surprise move, it was argued that even Startimes was insolvent and therefore not reliable. Justice David Majanja dismissed the allegations altogether saying they were unsubstantiated. 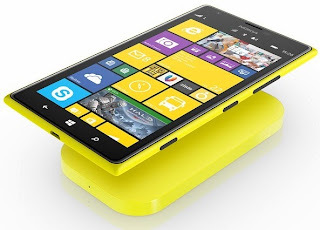 With an increasing demand for smartphones with giant screens, Nokia has finally entered the league with two large screen Lumia devices: the Lumia 1520 and Lumia 1320. The pair adds-up to Nokia’s best performing Lumia range that comes installed with windows phone operating system alongside other software tweaks to give user the best experience on their handsets. Both Lumia 1320 and Lumia 1520 are fitted with a 6inch display panel and comes with latest advancements for windows phone OS. Having productivity as well as entertainment in mind, the two devices offers a third column of tiles on the home screen, so you can add more apps to be access instantly. Windows phone OS still trails the likes of android and iOS, however its popularity is gaining more adoptions by manufacturers, app developers and consumers.